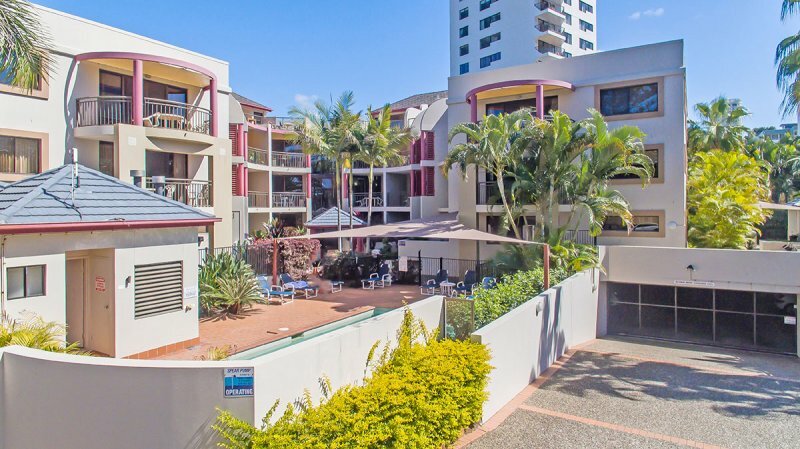 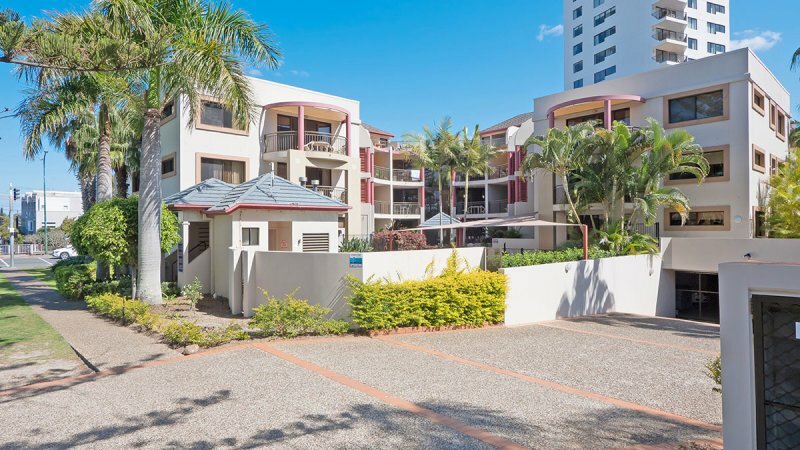 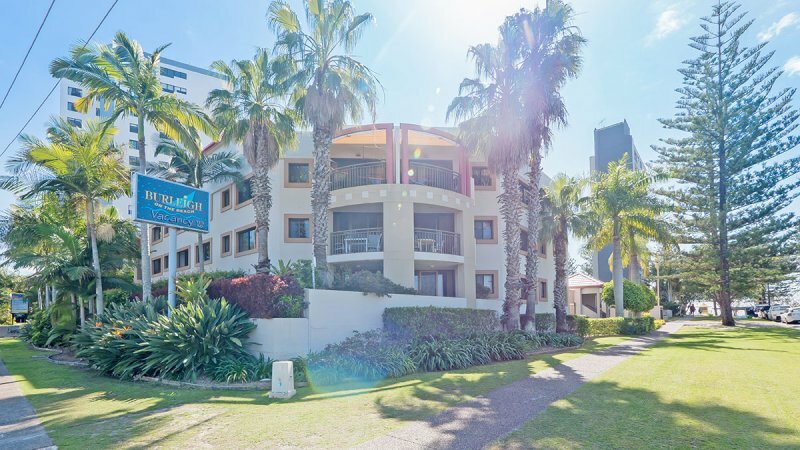 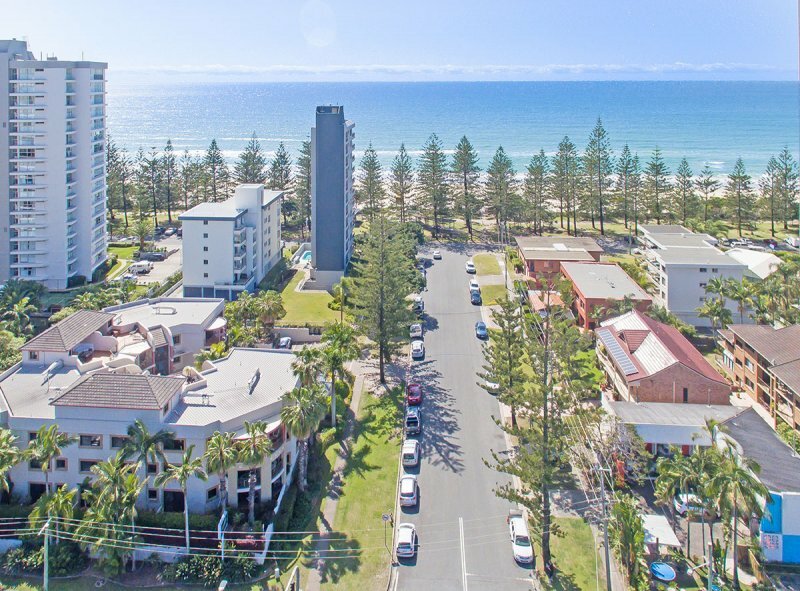 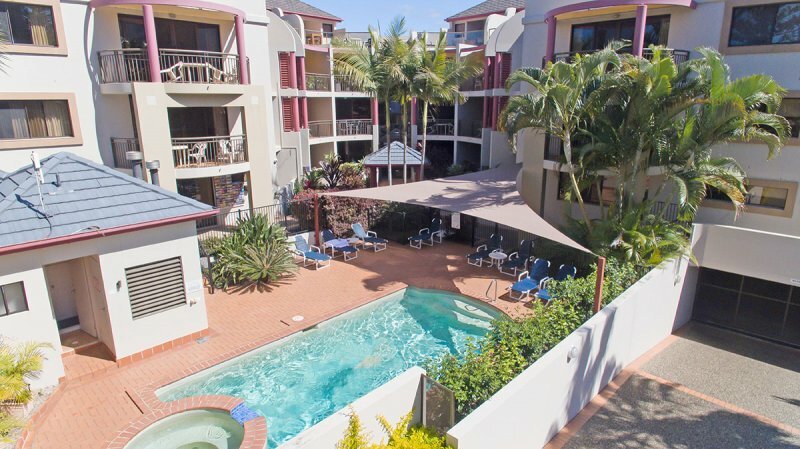 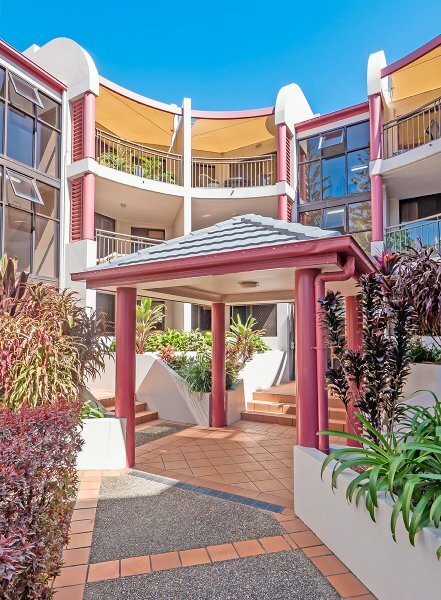 Burleigh on the Beach holiday apartments Burleigh Heads is a 3 Storey Walk-up Building and offers a range of excellent guest facilities designed to help you relax and unwind during your break. 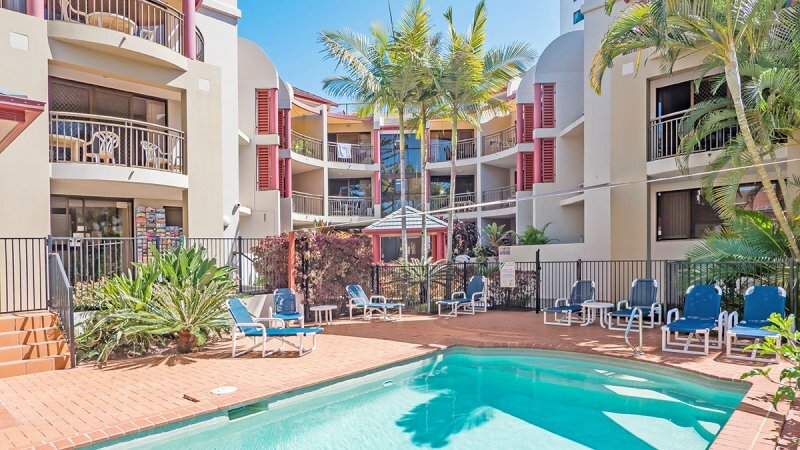 After a busy day on the beach, sink into our heated swimming pool for an evening swim or enjoy a long soak in the resort spa. 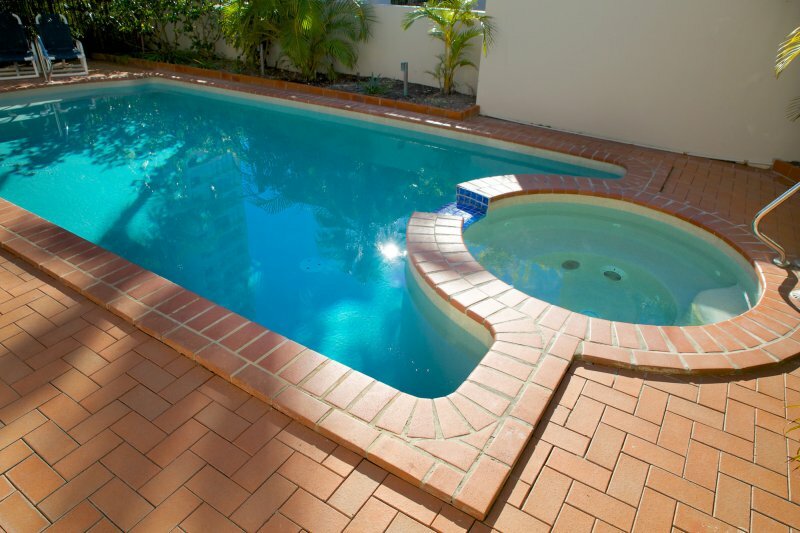 Our pool temperature is monitored to match the weather, it is heated in winter so you can enjoy our pool all year round! 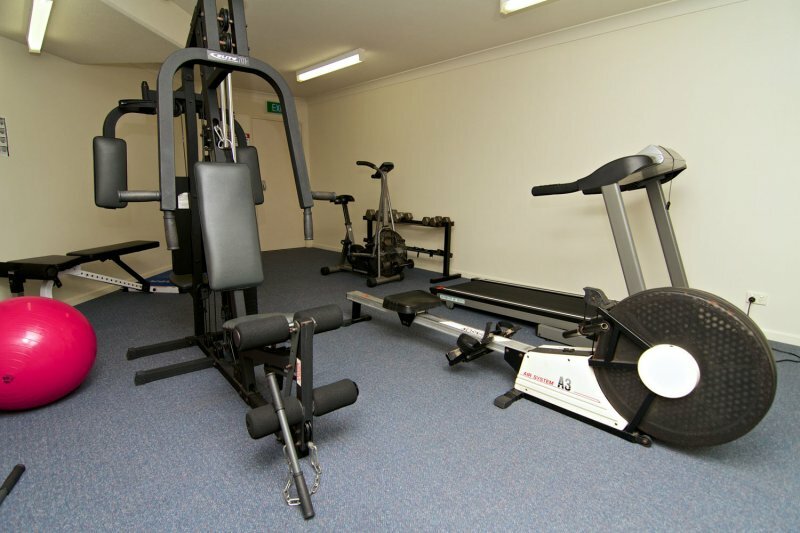 Burn off energy any time of day in the modern guest gym at our Burleigh Beach Accommodation. 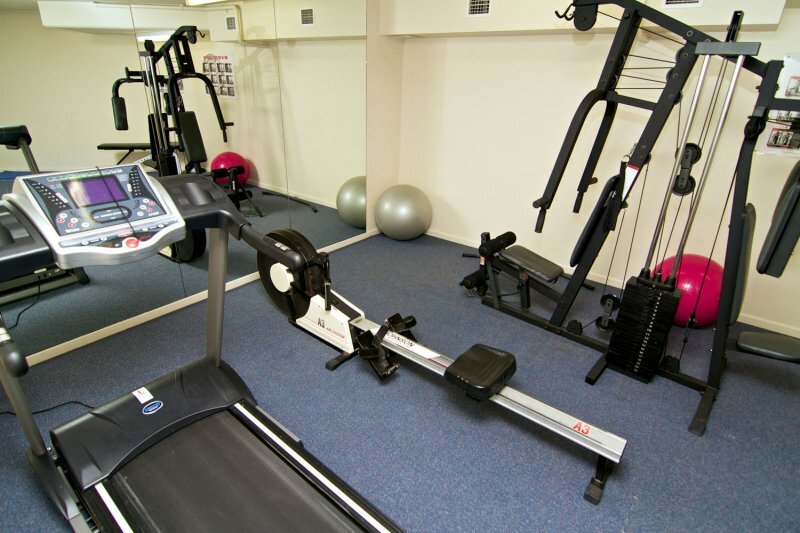 Our gym equipment includes a treadmill, weights, rowing machine, state of the art medicines balls & more! 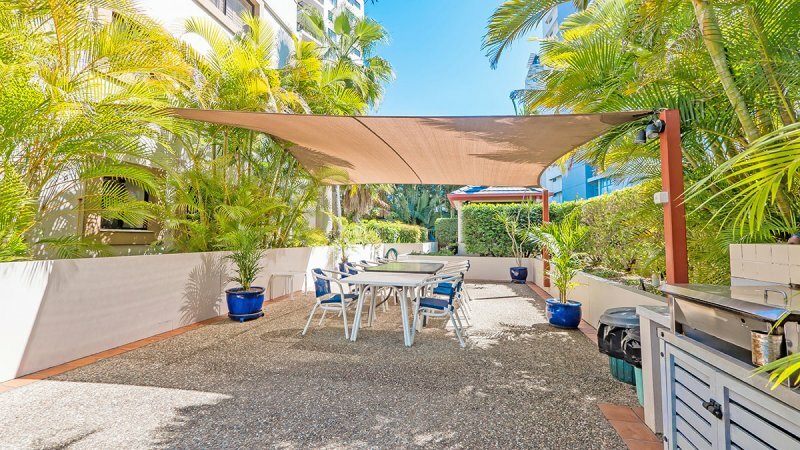 Take advantage of our guest barbecue facilities throughout your stay and enjoy an alfresco meal in the resort’s lush garden setting. 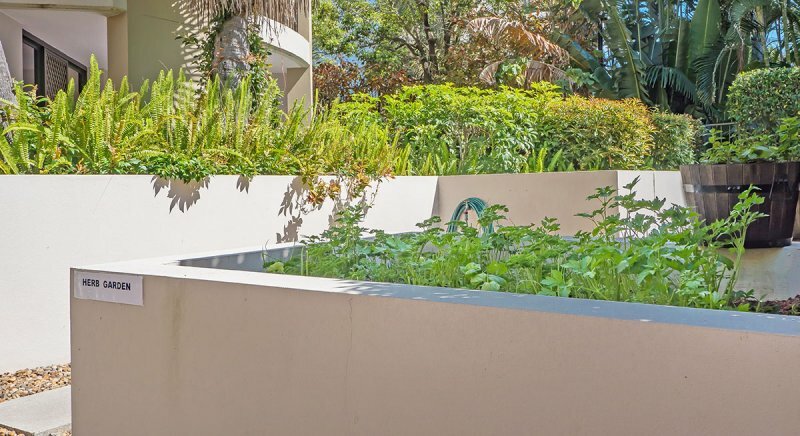 Feel free to use our delicious, fresh herbs from our herb garden, located in our BBQ area. 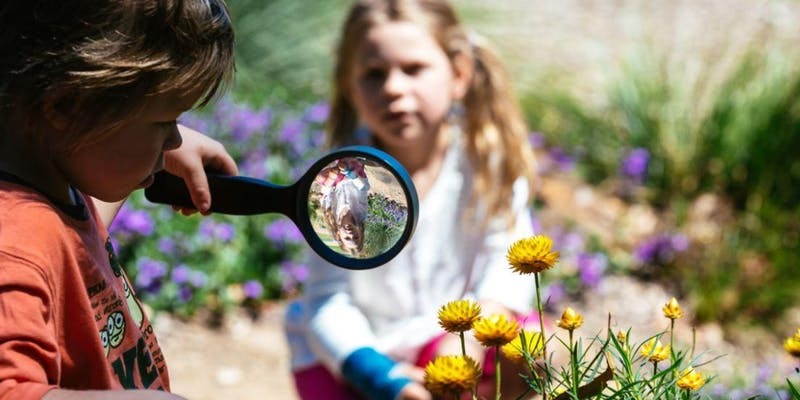 Need to check your email? 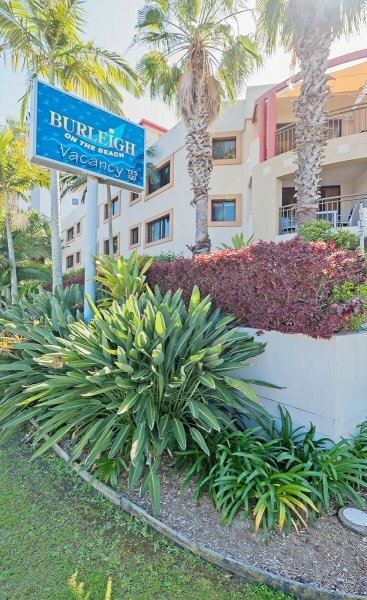 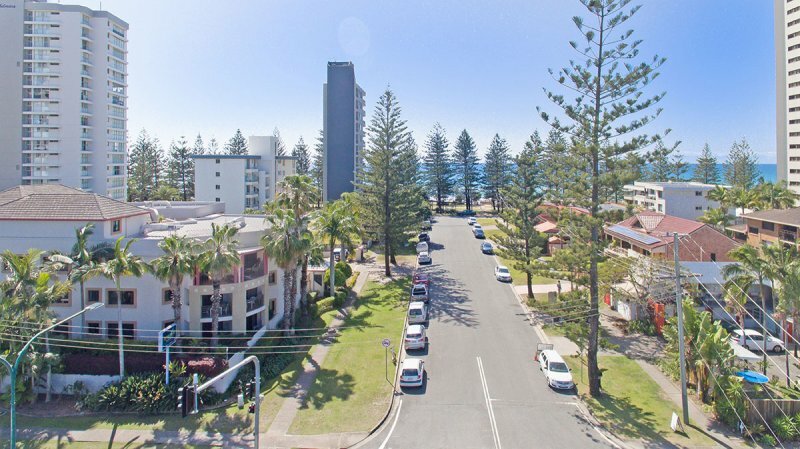 Each of the Burleigh Beach apartments has Unlimited Free WiFi. 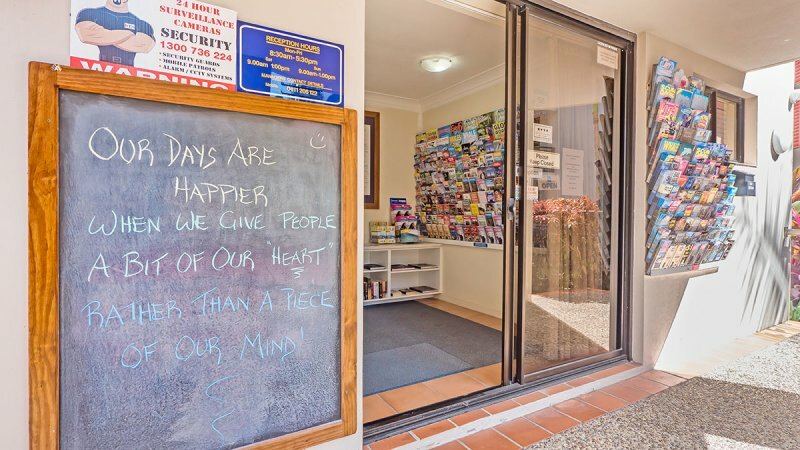 Drop by our tour desk for help with planning your stay, local attractions advice, tour bookings, car hire and more. 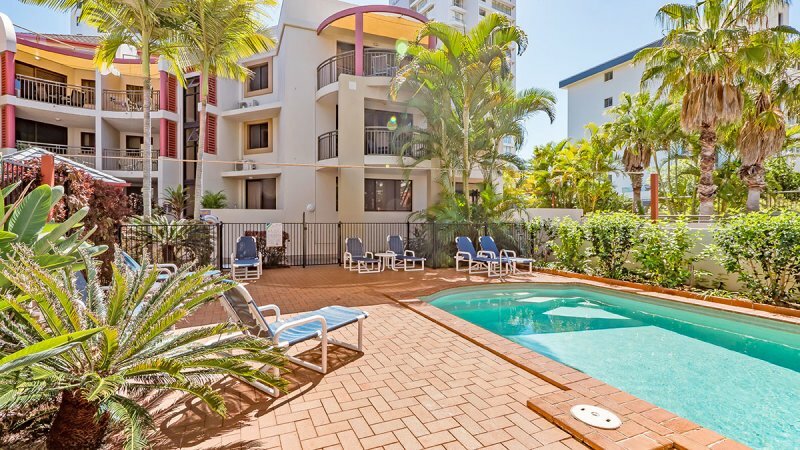 Burleigh on the Beach offers secure basement parking for guests.